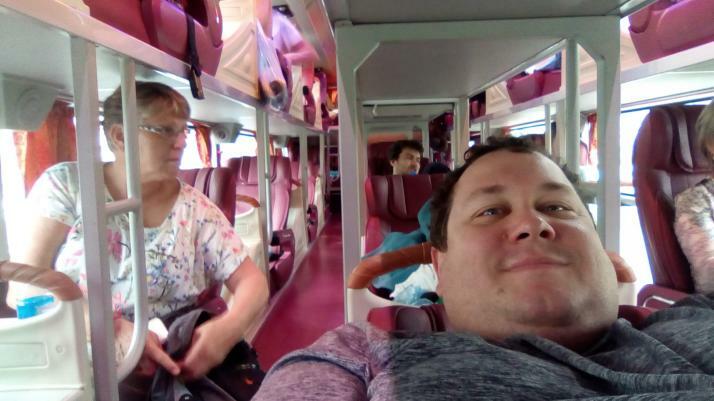 After 2 nights in Hanoi, we're the sleeper bus to the mountains. We're seated 3 across, with 2 aisles, and stacked in bunkbeds. I've never seen a bus configured this way before. There's also Wi-Fi and chargers in the seats. It may look and sound comfortable (and it did to us). In practice, it is clearly designed for large westerners, and cramped is an understatement. It's a 6 hour trip, and we should be in Sapa soon..